Is Seiza a Real Samurai Fighting Position? 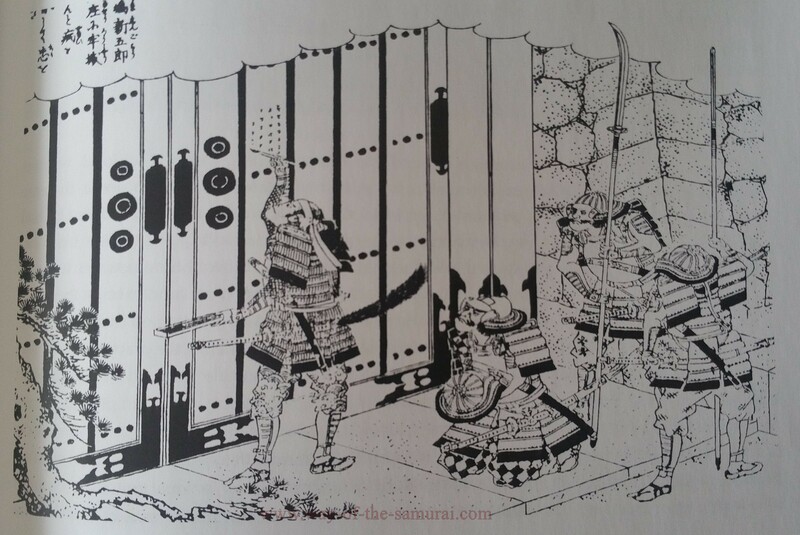 (The following is an updated thrid draft, with additonal images and extended discussion of samurai sitting postures, introduction and conclusion - the article still requires a little work - so comments and feedback are welcome below). A large criticism of the Musō Jikiden Eishin-ryū is the use of Seiza (正座 lit. 'proper sitting'), a seated posture, where the legs are tucked under the body with the feet, insteps flat on the floor, soles upturned and the buttocks resting above them. 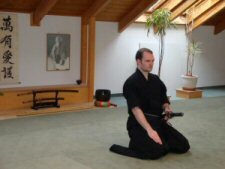 Many critics, the vast majority online are external observers of the ryū and not initiated into the inner teachings of the discipline, cite this posture as being a "dead posture that a samurai would not use" and secondly that they would not carry a long sword through their obi and sit in seiza. In this article I intend to examine that connotation, as it is a primary argument used by those that claim contrary to the previous article that Musō Jikiden Eishin-ryū is not combat realistic in terms of authentic Japanese period fighting methods (which is a ludicrous suggestion in and of itself). As covered in my previous article, "Is Musō Jikiden Eishin-ryū Battle tested?". 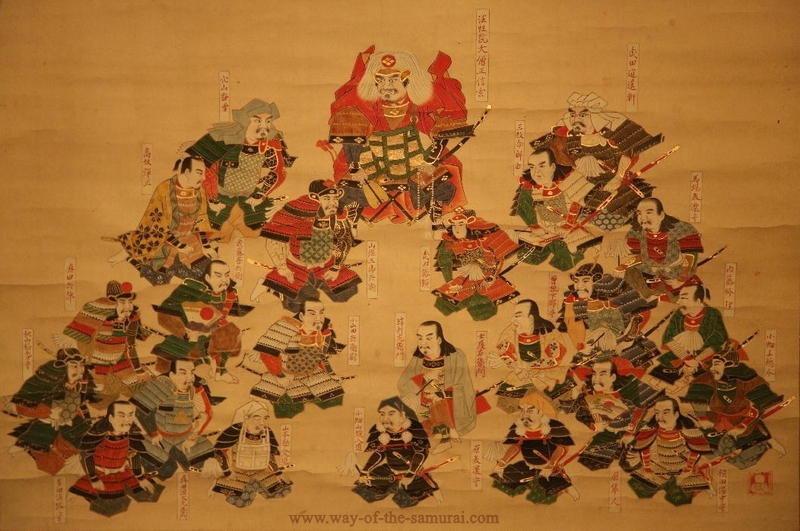 The ryū has a long history which encompasses several distinct periods of culture and warfare among the Samurai. And the Seiza posture is an excellent example of the confluence of those historical periods, realistic techniques, abstract strategy and religious philosophy. But first, a word on those critics. Many of these critics will rely on old discussion threads and forums, such as the epic E-Budo threads, which I love and still remain a source of excellent education. But these conversations took place in much earlier times. Many didn't have access to the documents, teachers and education we do today. Those studying these arts had limited resources and were relying on fragments of information and hushed comments. Time has moved on and we know more. We've been taught more and people have researched , translated and published excellent English language histories, commentary's and academic papers, that provide information, insight and clarity to matters that were once confusing. This leads me to the why of this article - most "debate" comes from those outside the style, those looking at a Youtube clip and making false claims and false assumptions. They speak with confidence about matters they do not understand or have knowledge of, and this in turn creates confusion, spreads misinformation and damages not just the reputation and study of the Musō Jikiden Eishin-ryū but in turn muddies the water for other legitimate koryū bujutsu. Of course, as I have said, these are old arguments and for the most part the most educated within the Ryū now have better things to do then debate what, are, ultimately trivial matters, on the internet. This is time that could be better spent training. But I'm not high up the chain yet, ;-) and can devote a little time to compiling the new information, old claims, and of course my own limited knowledge and perhaps stem the tide of misinformation with providing clear, researched and unambiguous answers to many a criticism of Musō Jikiden Eishin-ryū, and here I'll address those criticisms regarding seiza. While there is an abundance of supporting evidence in the Japanese Language texts for the points I shall be making in this series, I shall be do my best to keep to readily accessible English language sources so that those interested and do not have access to the Japanese language or texts and who wish to independently verify the documents and quotes cited as support, can do so. With that, let's begin...with history. Seiza as a posture primarily developed after the Sengoku Jidai (戦国時代, "Age of Warring States"; c. 1467 – c. 1603), and the Ōmori-ryū (大森流), the Shoden school (opening initiation set of techniques), although practiced since its introduction in the early 1700's was only formally added to the Muso Jikiden Eishin ryū school in the 1900's. Seiza was not, nor was intended to ever be a position adopted by Muromachi Warring States Period Samurai - in fact I would go as far to say that sword techniques were not the primary focus of a samurai at all (for more on that see "Battle Tested?"). Seiza, is in fact, a seated posture that came about with the development of new internal technology, in particular the proliferation of the tatami mat and the popularity of the tea ceremony both of which contributed to vast social changes in etiquette and personal conduct. The Ōmori-ryū Seiza no Bu School is named after its developer, Ōmori Rokurōzaemon Masamitsu (大森 六郎左衛門 正光), a student of the 7th Headmaster, Hasegawa Chikaranosuke Eishin (or Hidenobu)(長谷川主税助英信). Ōmori was expelled from the Musō Ryū at one point due to personal circumstances we have no knowledge of. During this time away from the Musō Ryū, Ōmori was a student of Ogasawara Ryū Reishiki (小笠原流) or etiquette and studied the Yagyū Shinkage-ryū (柳生新陰流) (Bishu) school of sword, which has an unbroken line stemming from Kamiizumi Ise-no-Kami Nobutsuna, (上泉伊勢守藤原信) (1508-1578) with the Yagyū line established by Yagyū Sekishūsai Taira-no-Munetoshi (柳生石舟斎平宗厳), (1527-1606). Within the Yagyu Shinkage Ryū were a set of five Iai techniques called the Saya-no-uchi Batto Gohon (2)(3). (*This term has since been questioned by Meik Skoss, and I am awaiting further clarification). The techniques don't teach you what you think they are teaching. Before we go further I want to address a phrase...In Japan there is a term, "Omote and Ura". In the Japanese Swords arts, Omote is the front of the sword - the side that can be viewed while it is being worn. The Ura is the back of the sword that cannot be seen. 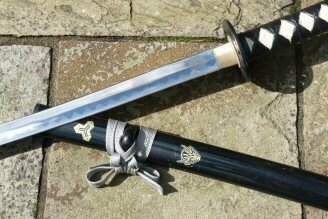 However, as with all things in Japan and particularly within the old Japanese Sword arts there is a deeper meaning, an expression of In Yo (Yin and Yang). Omote is that which is revealed on the surface, the superficial understanding of a thing - it is Yang, bright and obvious. Ura is the deeper hidden meanings, the Yin, dark and concealed. This concept is applied to all aspects of life, from flower arranging to politics. The Omote of George Orwell's Animal Farm is that it is a book about talking animals. The Ura is that it is a deeply political allegory and dystopian critique novel on the destruction of Russia by Joseph Stalin. Within the Japanese Martial arts, we often find a near never-ending rabbit hole of Ura within seemingly obvious Omote. For instance, within the Musō Jikiden Eishin-ryū Iai kata 浮雲 Ukigumo, we move from a seated position to step back, moving the handle of the sword away. 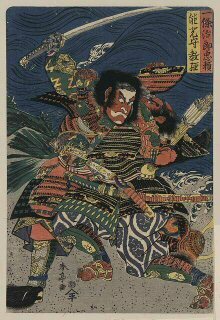 The Omote is that the opponent is reaching for our sword and we are simply moving it out of his way. And that's true....but not the only truth. The ura is that this is an example of strategy known as mikoshi sanjutsu. We are creating a deliberate opening (suki) to lure the enemy into making a specific movement so that we can attack in a particular way. By controlling the opponent's perception and intentions we can force his movement without his realisation and thus create an opening that we can exploit. Another expression may be that in a kata you are stepping forward or turning to the left. Whereas in the actual technique applied in reality and in combat, you may actually be stepping back or to the right. A cut that you are taught is a block may in fact be slice to your opponent's femoral artery at a weak point in the armour. Of course, the deeper level of this is how it is applied outside of swordsmanship in the world outside the dojo. But for the purpose of this series it is vital to recognise that what you see presented to you on the surface isn't the whole story. The nice shop front may hide a crumbling building, the honest PR of a company hides rampant corruption, the pretty blonde girl who giggles a lot may actually be a nuclear physicist. Heck, the Omote of Dolph Lundgren is that he's a dumb wooden muscle bound actor, but in fact (Ura) was selected for a Fulbright Scholarship and has a master's degree in chemical engineering! It is this Ura understanding that is revealed to the initiate in the study of Musō Jikiden Eishin-ryū. With this in mind, let's examine, the first criticism of the Seiza Forms. Is Seiza a Real Samurai Fighting Position?Part 2 - Samurai would not have worn long swords when sitting in seiza. Samurai wearing daito while in Seiza from a Densho. Serge Mol Collection. "Samurai would not have worn long swords when sitting in seiza!" While Taylor Sensei is being perhaps a bit facetious, he is entirely correct. From the introduction of the Ōmori-ryū Seiza no bu in the early 1700's until the abolishment of the Samurai as a class in 1876, for over 100 years, Samurai wore and used a long sword while in seiza. When practicing Ōmori-ryu. "Among the Japanese nowadays there are several who find it a little strange to sit down in seiza while wearing a sword. This is because most Japanese have forgotten that before the Meiji period it was absolutely normal. 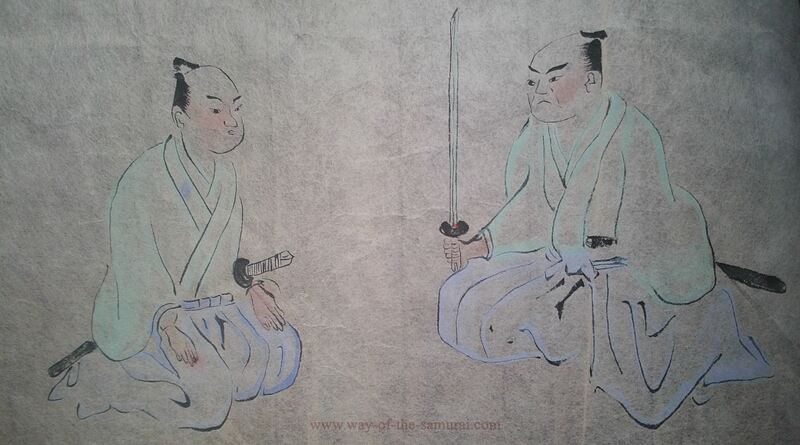 Samurai sitting down carrying a sword are depicted in numerous books and paintings of the time. For example, let us take a look at the following story of the samurai Okubo Hikosaemon Tadataka (1560-1639), who was in the service of Tokugawa Ieyasu. In numerous castles in Japan dioramas depict Daimyō (大名) (feudal Japanese Lords), overseeing a court, with multiple officials wearing short swords, and the bodyguards of the Daimyō wearing katana, while sitting in seiza as the above story alludes. Other examples are given in Yamakoshi Sensei's text and through the oral traditions of the Musō Jikiden Eishin-ryū. Yamakoshi Sensei also alludes to the many classical images including those spanning the Muromachi and early Edo Periods depicting these. For you convenience I have collected several such images and present them below. But it was also not unusual in cases of 上意討 Jōiuchi - this is where a samurai would be ordered to take someone into custody or execute/assassinate someone, and there are multiple kata in the Musō Jikiden Eishin-ryū school dealing with such situations as I'll discuss later. For now, examine the photo below. 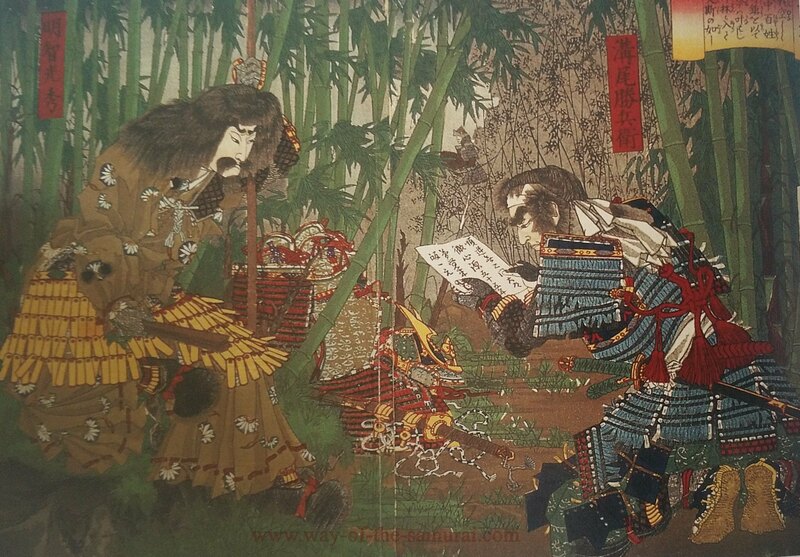 The scene depicted in this scroll, from the Hyogo Prefectural Museum, is of samurai swearing loyalty to a Daimyō. The Daimyo's bodyguards to the right are armed, with tachi (signified by the length and curve of the long blade, as well as the time period). I have circled in red the closest one to the viewer. He is seated, with a long sword, in seiza. We know this because we can see the edges of this feet, circled in blue. The Samurai sat in many positions throughout their history, Iidori, also called kiza (跪座 / 跪坐, 起坐), a posture similar to seiza, where the feet rest on the toes not the instep, which I shall cover in Part 3 , agura (胡座 / 胡坐) a crossed leg position, common in the Muromachi period while wearing yoroi (鎧, armour), and tatehiza, a half-kneeling position, where one leg is raised with the other tucked, and iai-goshi, which is modified s that the tucked leg is resting on the flexed toes and of course, seiza. 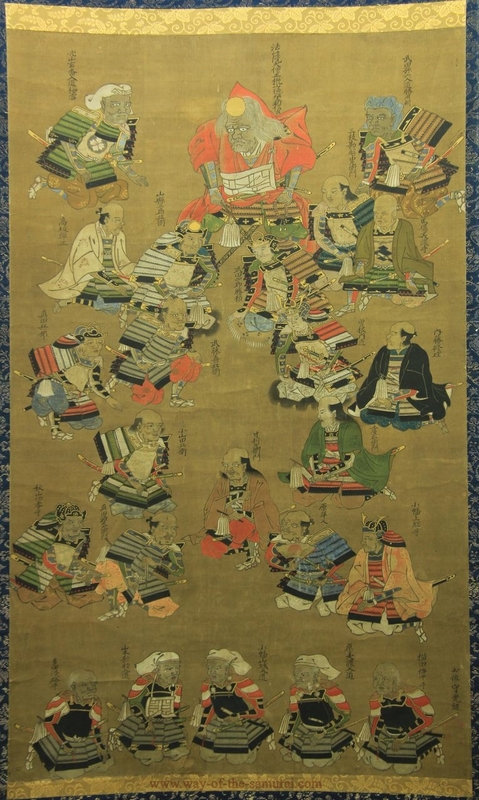 In some historical paintings and woodblocks you can see nearly all of them, including seiza in the one picture. 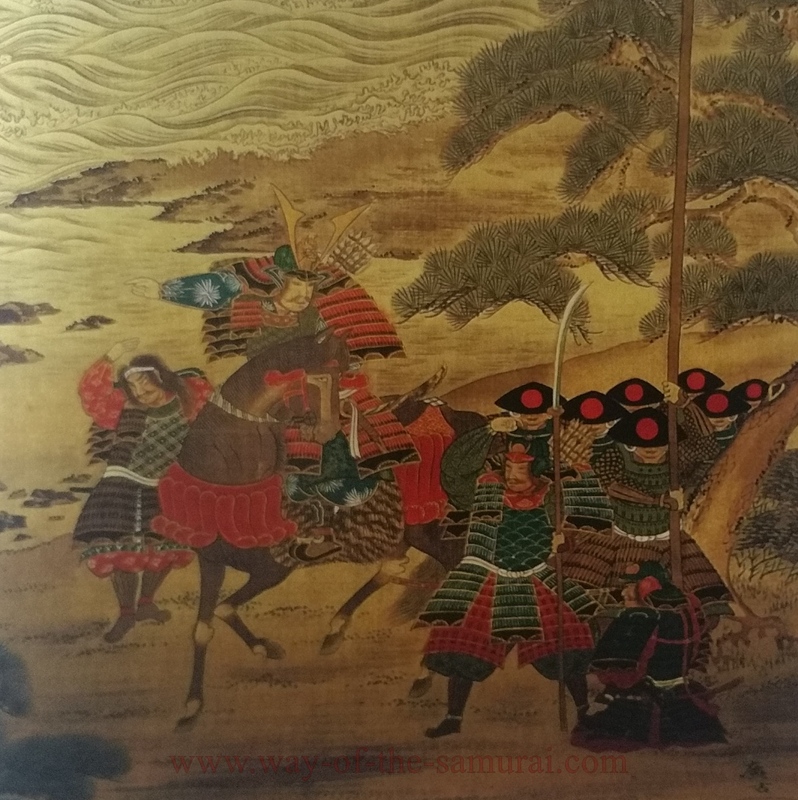 For instance below you will see a series of early Edo period depictions of the great Sengoku period general Takeda Shingen (武田 信玄, December 1 st 1521 – May 13th 1573), and his celebrated 24 generals. 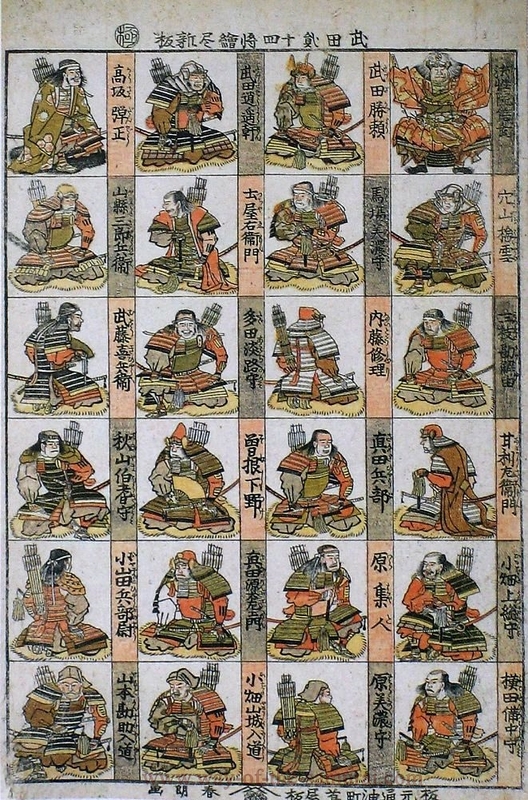 This assortment of images shows his armoured and armed samurai wearing daisho, carrying bo's and sitting in a variety of positions, including sieza. For those of particular interest I have provided additional close-up images. 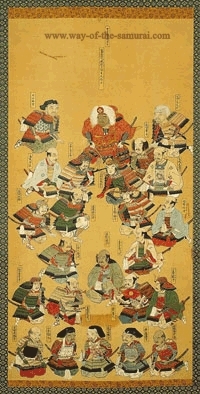 A scroll depicting Takeda Shingen and his 24 generals. Note the range of seating postures including iidori/kiza, agura, tatehiza and seiza. An early Edo Period Scroll showing various sitting postures, on a stool, iidori/kiza, agura, tatehiza and seiza. 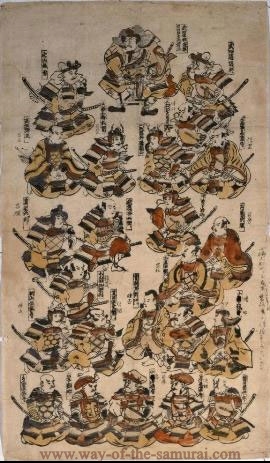 A scroll of sitting samurai generals. Note the front row are all in seiza, resting on their insteps, leg folded under them. 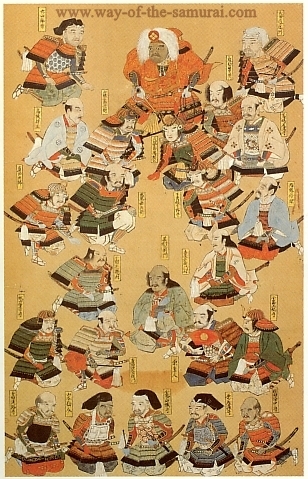 Another depiction of Takeda Shingen's generals. Note, in particular, the third and fifth man down in the first column from the left. A close up of the armoured, daisho wearing samurai in seiza. Note his feet, flat and protruding, from under his armour. A professional soldier, a warrior or martial artist (and the three are not the same thing) is generally expected to be capable to responding to violence in a wide variety of situations. Many of these situations involve self defence or combat in social situations that suddenly become asocial very quickly. Considering that in the late Muromachi period and into the Edo period the adoption of seiza and positions similar to it, became more common place it is only natural that combative strategies were developed to address these issues. Perhaps the best example of this is Takenouchi Ryū (竹内流), considered one of the oldest schools of jūjutsu extant today. Founded in the late Muromachi period in 1532 by Takenouchi Chunagon Daijo Hisamori, the school has a large range of techniques performed from a posture similar to seiza but with the toes raised, a posture called iidori or kiza. Many of these jūjutsu forms involve attacks and defences with small daggers or short swords. The school also includes Iai techniques, as do other schools such as the Katayama Hoki Ryū ( 伯耆流). Hoki Ryū, is today seen primarily as an Iai based art - however it did include many jūjutsu forms. A retainer sits in iidori/kiza, holding the kabuto (helmet) of Kojiro Shingoro during the Shizugatake campaign of 1583. "Why the shift to seiza, which is an exclusively indoor posture, rather than iidori which is an anywhere posture? (Note, BTW, that some very rugged styles, made that shift within the past few generations - it's not necessarily hundreds of years old). 1) It is an extension of the principle I mentioned earlier - formalizing the training scenario. Iidori is NOT a way of sitting, per se - it's a "stance" on the knees. You are never asked to "sit down," and because of a certain level or lack of formality, choose to assume that posture. As practice was done indoors, and the meaning of the forms began to become attenuated, shifting to seiza made "sense" as that codified the stance into an appropriate way of sitting inside, where practice was almost exclusively done. 2) Those who were moving in the direction of cultivation naturally moved in the direction of seiza - quietude. 3) Iidori hurts the feet. Not only non-Japanese. It is the world's worst for those who have a tendency to get those bone-deep cracks at the base of the toes in the joints, during winter. Iai as a many hour practice, rather than a subsidiary practice within a weapons/grappling system was a new idea - seiza was probably shifted into to be able to tolerate the repetitive, conceivably many hour posture. What relevance is this to the Musō Jikiden Eishin-ryū and the problem of seiza? Well, this harks back to the ignorance of commentators outside of the Ryū, as another criticism often levelled at Musō Jikiden Eishin-ryū is that it is a solo iai art - again this is fundamentally untrue. Paired work actually makes up the majority of the school's teachings. The solo kata / waza of the school from the Sezia no bu to the Bangai no bu comprise of 46 techniques, not including henka or variations. This is the bulk of material most students are familiar with, but that is not the end of the school's teachings. This represents a total of 53 paired forms, not including variations, of which there are many. For instance, 出合 Deai, the first form of the Tachi Uchi no Kurai has at least 17 distinct variations that I am aware of. Thus in the extant line since of Oe Masaji, there are more paired forms (53) then solo forms (46). "This curriculum is according to the Shinden Ryū Hissho (Secret Scrolls of the Shinden Ryū) redacted by the 13th headmaster of the Shimomura-ha, Yamakawa Yukio (the 2nd generation after the Tanimura-ha/Shimomura-ha split). 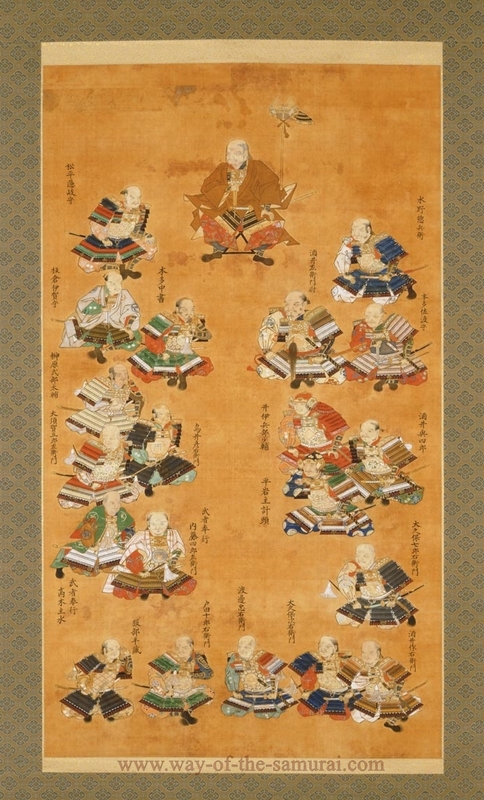 Batto no Okuden (Shigenobu Ryū), 10 forms from iaihiza, 12 standing forms. 63. That represents the largest school or body of techniques in the Ryū. Now we do not have those 63 forms today, but I would suggest several of them involved moving from seiza and tatehiza. I base this on the current teachings of the school. Just a cursory examination of a higher level understanding of the solo forms, just examining 前 Mae - the very first of these forms, from the seiza position, there are at least 8 jūjutsu techniques associated with that form, with further elaborations I am not counting here, on dealing with tanto or wakizashi. These include blocking the opponents arm when in chikama (close distance), tōma (far distance), crossed arm grappling, etc. These can all then be applied to the next 3 forms. The 5th form of the Ōmori Ryū, Yaegaki, contains no less than 9 jūjutsu techniques within the teachings of the kata, including the "5 Methods of Resolving the Valley"(9). This trend of comprehensive jūjutsu techniques continues through the Ōmori-ryū to the Okuiai and is examined further in specific paired kata such as the Daishō Zume, Daishō Tachi Zume and Daikentori. Those three jūjutsu sets all begin from tatehiza (a very differing seating posture to seiza) or standing. These techniques further inform the solo waza. Suffice to say there is an extensive background of jujutsu within the school and it is no surprise then that Iai techniques from seiza would have developed in the tradition. There is another telling detail provided in this examination of the curriculum of the Muso Jikiden Eishin Ryū - the seiza posture is NOT representative of the ryū. The Muso Jikiden Eishin Ryū comprises, not including variations, henka waza etc, a syllabus of 99 techniques currently being taught, and at least 164 techniques in the older syllabus. Out of 99-164 techniques there are only 13 performed in seiza...and I could argue that there are only 11 (暇乞其Itomagoi being counted as 1 form with 2 variations). In Modern terms that's indicates only 11% of the syllabus begins in seiza. In classical terms that's only 6.7% of the syllabus which begins in seiza - hardly indicative of the ryū. So why seiza at all, considering that every kata in the seiza syllabus, with one exception, is later shown in a more advanced format either in tatehiza, a recognized feudal battlefield and samurai posture or standing? The key word here being, 'advanced'. Nearly every headmaster and senior instructor since the introduction of the seiza no bu in the 1700's acknowledges it is a way to practice and condition the body in preparation for the forms of the school - chiefly the Eishin Ryū and Shigenobu Ryū. Ōmori-ryū thus is a form of Tanren - for conditioning the body to allow us, those not professional warriors, to develop the strength in muscle and connective tissue, breathing patterns, physiological and psycho-emotional patterns and connections to be able to perform the later movements at the heart of the school. This is why Oe Sensei would later make the Shoden waza of the school - the initiation set. The sword you use to practice the kata isn't necessarily the sword you use to do the kata. Omote, meet Ura. From the outside a casual internet troll derides the Musō Jikiden Eishin-ryū from practicing forms in seiza with a long sword. Demanding that if a samurai were seated in seiza they would not have access to their long sword. As we've seen above that isn't always true, however it certainly was a vast majority of the time. 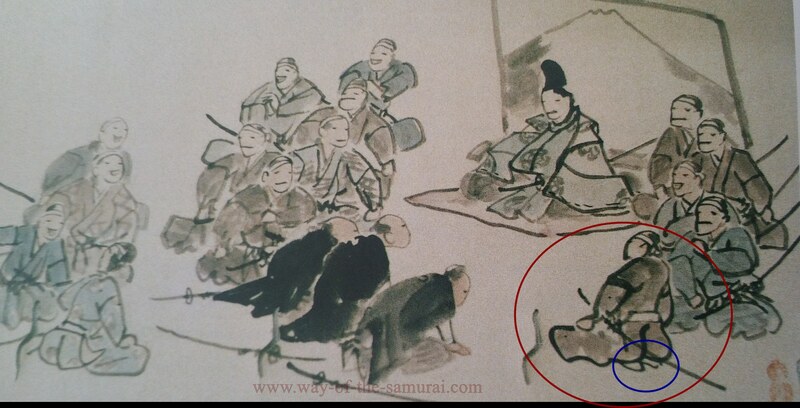 In Edo period Japan, a samurai sitting in seiza one would be more than likely wearing a tanto or wakizashi. Or in the case of students of the Musō Jikiden Eishin-ryū, an armour piercing yoroi-dōshi (鎧通し). One of the ura teachings on Yaegaki, the 5th form of the Ōmori-ryū concerns the use of a kneeling walk, specifically for use during indoor execution in a lords castle - it is further suggested this technique be performed with a wakizashi, as should all of the techniques within the style. 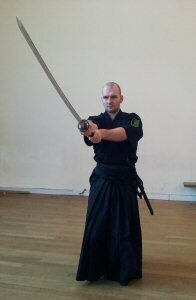 Within the oral teachings of certain ha's in the Musō Jikiden Eishin-ryū we are told to cultivate a "wakizashi spirit", which is to be applied to all techniques. The first four forms of the Ōmori-ryū all contain teachings regarding wakizashi and tanto, including multiple defences and counters. 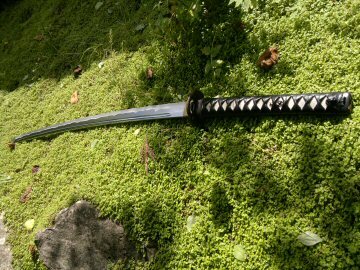 The later advanced forms of the ryū deal with a multitude of different weapon combinations including wakizashi, tanto and odachi, the school is not unfamiliar with shorter weapons. 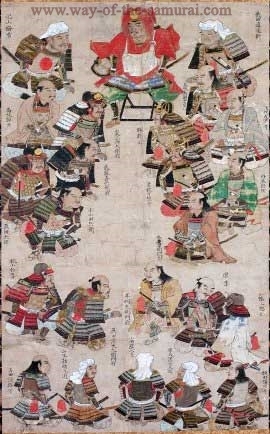 Within the Compendium of Samurai Regulations of 1618 it states in regards to the 7th form of the Ōmori-ryū that "Long swords are not suitable for executing Kaishaku..."
And this makes complete logical sense when you keep in mind that the Ōmori-ryū Seiza no bu, were derived from the Muromachi period techniques of Eishin Ryū Tatehiza-no-bu and the Yagyu Shinkage Ryū Saya-no-uchi Batto Gohan forms, modified to provide introductory teachings and physical conditioning. Finally there is one other point I'd like to make regarding the Ōmori-ryū Seiza no Bu, which at first glance may seem to contradict everything I've just written - I'd like to briefly discuss the spiritual reasons for the forms inclusion. 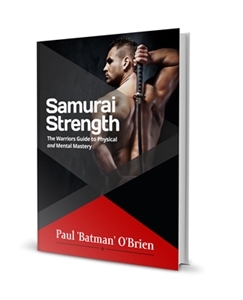 As detailed in my 2 books on Samurai Philosophy there is an extensive amount of religious and spiritual significance in the practice of Iaido and koryu bujutsu; with aspects of Buddhism, Confucianism, Shinto, and Taoism all influencing the development of the kata and the thinking behind them. Some of these spiritual and religious concerns can be best seen in the Seiza no Bu. For example, coming back to The 5th form of the Ōmori Ryū, Yaegaki, in which previously we had examined one of its many teachings where you have been ordered to execute someone (which is in keeping with the overall assassination theme of the school, covered in my other articles), we can also examine the many layers of Taoist religious philosophy embedded in the kata. Omote and Ura as we touched on earlier may be seen as a reflection of Yang (Omote) and Yin (Ura). "Seiza teaches other important things, for example (often equally incomprehensible to most Americans, at least) - manners. Sitting in seiza demonstrates respect - to fellow iaidoka, teachers and the tradition of iaido itself. Seiza is a physical link to the Japanese traditional past, which created and refined the art form over 400 years. Seiza is more than a beginning iaido posture for basic kata. It is part of what Japanese scholars refer to as "seiza bunka" - seiza culture, which includes other classical art forms, like calligraphy, tea ceremony, flower arrangement, even noh and kabuki theatres. Seiza teaches respect, and also (well known to those who've tried it) humility. It sounds like a cliche, but barring some actual physical impediment, I can gauge the depth of a student's interest in learning iaido by their willingness to adapt and maintain this posture in class. "Seiza is a Japanese peaceful posture. We sit like this to drink tea, and talk to one another. All the most important things are decided upon when sitting in seiza. By sitting in seiza we are showing other that we are peaceful and do not wish to offend. "Spiritually, the student begins and finishes in the most humble possible position, one that is close to the floor. The position is vulnerable to attack and therefore can't be aggressive as can kiza or tachi ai. Moving up to a standing position from seiza requires great leg strength, giving the student a good root into the ground. Sitting solidly in seiza allows the student to know what that root should feel like while standing. Such inherently religious and philosophical traits are not foreign to the school, the earliest documents of which are of a religious nature, and it is not a surprising fact to find deep philosophical, religious and spiritual tones within the Seiza no bu. With all this in mind, it also touches upon another fundamental aspect of Koryu Bujutsu and how the Musō Jikiden Eishin-ryū relates to this. But why is this important? As I have noted extensively in other articles and touched upon here, there are more to koryu than just the techniques. There are the intrinsic religious and spiritual beliefs of Shintō, Taoism, Confucianism and Esoteric Buddhism, woven through the fabric of every technique. To explain just a superficial understanding of these took me two books! ;-) This is how deeply embedded into the fabric of the koryu these idea's are not to mention the societal and historical influence's brought to bear upon the koryu. We've already seen an example of this in Ōmori-ryū Seiza no bu as reflective of "seiza bunka", but also in the manner in which the student and teacher interact is very much predicated on the intrinsic understanding of Neo-Confucian ideals of societal conduct, in particular the aspect of Li. The manner in which a class is taught, the method by which the techniques are categorized, is deeply influenced by Mikkyo Buddhism and Confucianism. The layout of the dojo (a Buddhist concept in origin) is today heavily influenced by Taoist teachings. The kamae, the stances taken in koryu swordsmanship, often outside of the tactical considerations, are frequently used to signpost or indicate a mental emotional consideration or spiritual technique of Buddhist relevance. 2. The posture of seiza is an Edo period modification of accepted Muromachi period posture such as iidori and this is in keeping with the high level of jūjutsu within the curriculum. 3. The seiza posture taken during Ōmori-ryū Seiza no bu teaches important principles and techniques applicable in formal Edo period setting where a wakizashi, tanto or yoroidoshi would have been worn. 4. 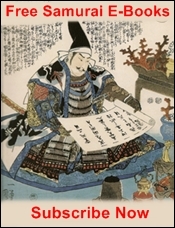 Within the Ōmori is an introduction to the techniques and principles of Muromachi period, feudal Japanese combat, from which the Ōmori have been inspired. 5. The seiza posture affords useful teaching points and assists with the correct physiological patterns required for the core teachings of the style. 6. The posture of seiza is not reflective of the Musō Jikiden Eishin-ryū, given that it comprises between 6.7% - 11% of the total curriculum. 7. Koryu Bujutsu are not solely concerned with combative function. They are layered with spiritual, religious and philosophical teachings and the seiza posture imparts specific spiritual teachings to the students of the ryū separate to any concerns one may have about "realistic combat". The Ōmori-ryū Seiza no bu is kihon. Fundamental. It is, as Ōe Sensei and Ōmori Sensei intended it to be - a fundamental introduction to the teachings of the Musō Jikiden Eishin-ryū. It is here, in these forms that the student learns shisei (posture), kamae (stance), koryū (breathing), chakugan (eye contact), metsuke (vision), maai (distance), kihaku (focus and power), reshiki (etiquette) and zanshin (spirit/awareness), along with the key basics of how to grip and use a sword. And this is deeply important. I remember an old story, doubtless told in many a dojo, that has always been dear to me. I was told, "You can tell how long someone has been doing Iai by the kata they practice on when no one is looking. The beginners practice Mae, because it's the only one they know. The intermediate students practice the Eishin Ryu and Oku Iai, 'cause they are flashy and cool. The seniors....the seniors all practice Mae, because it's got everything you need and you can never do enough kihon". The fundamental importance of kihon can not be overemphasized, and the Ōmori-ryū Seiza no bu are the kihon of the Musō Jikiden Eishin-ryū, and thus their importance can not be overemphasized. The seiza posture is a first introduction into a larger, deeper world; A spiritual and philosophical connection to Japanese culture and history; and our most important tool to train and develop the mind, body and spirit to understand and effect the techniques of older times. Lowry, Dave. Autumn Lightning: The Education of an American Samurai, Shambhala, 2001, pg. 104. Shimabukuro, Masayuki. Flashing Steel, 2nd Edition, Blue Sank Books California, 2007.